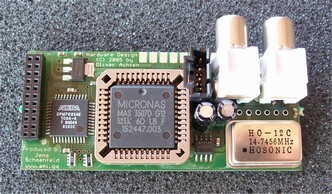 A hardware MP3 decoder for Amiga clock ports. 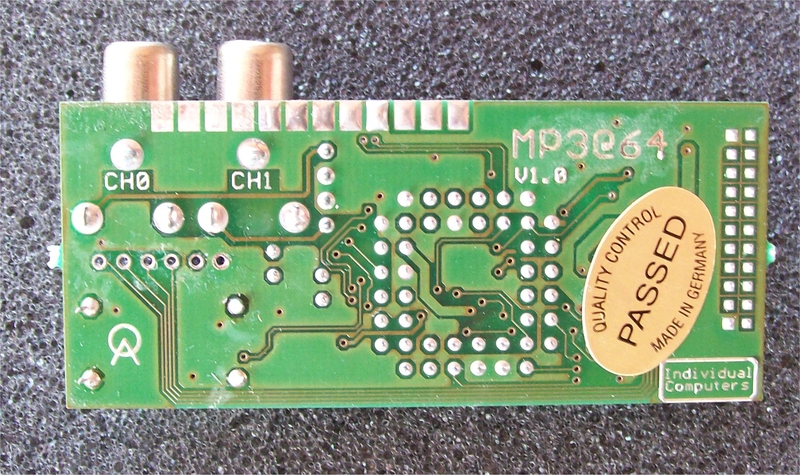 Originally a codec for the C64 add-on the MMC64 by the same manufacturer. 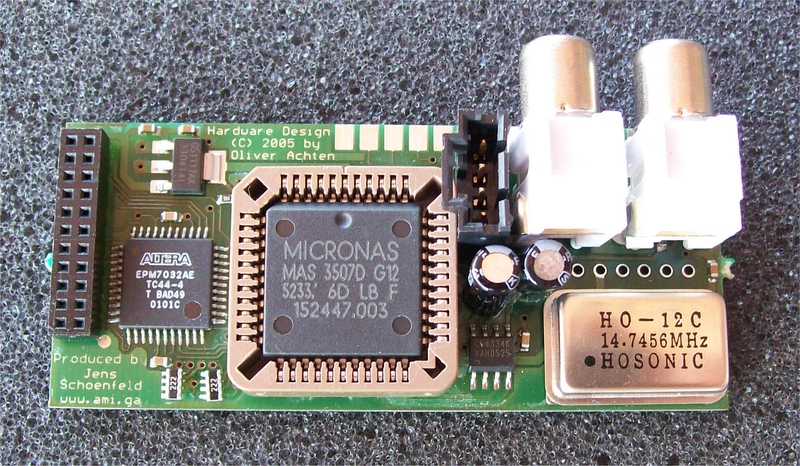 Although not a true sound card as it has no PCM support the MP3@64 can decode MPEG1 Layer III audio with almost no CPU load. Has software support for AmigaAMP (via MHI wrapper) and AMPlifier. Drivers are by Chris Hodges, author of the USB stack Poseidon.